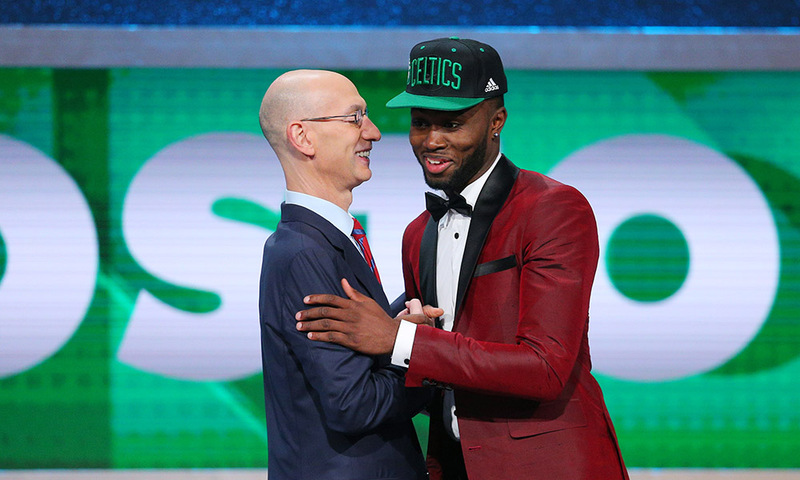 Jaylen notes that the situation coming to Boston versus all of the other teams selecting at the top of the draft is different because these young players will be joining a team that's coming off a trip to the Eastern Conference Finals. Playing time won't be handed out next year in Boston, it will have to be earned through hard work. Brown also suggested that putting an emphasis on the defensive side of the ball is perhaps the best way to get in the graces of Celtics head coach Brad Stevens. We saw early last season that Jaylen had short hook when he made mistakes on the defensive end. It certainly makes you wonder how much players refusing to work out for the Celtics affects their stock in Danny Ainge's eyes when such an emphasis is placed on proving yourself in Boston if you want to get on the floor, despite how many times Ainge has said that has no effect on his decision making regarding rookie prospects. Josh Jackson being the mystery guy Ainge really wanted was the story last week leading up to the trade with Philadelphia for the #1-pick, but the pendulum has been swinging towards Jayson Tatum, a guy the C's have worked out multiple times, being the choice if the Celtics hang onto #3. We will see tomorrow.